Danceworks Summer Programs are organized to fit your schedule. You can choose from full day camps, 1/2 day camps, dance camps and dance classes to perfect your technique. Our camps are expecially designed for 5-12 year olds who are ready to explore, play and make new friends in a safe, nurturing and stimulating environment. Each week at Danceworks Camps is new and exciting, as we explore and celebrate a new theme. Under the supervision of Danceworks Dance Studio director and experienced staff, day campers have fun, develop new skills, try new things, gain confidence and grow in ways that will benefit them long after the program is over. Morning snacks will be provided. You do not need to pack a morning snack. 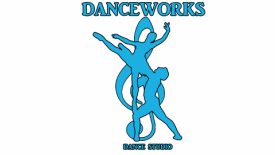 Danceworks offers a variety of day camp options. Extended days are available before and after camp. Camp is available week by week for ages 5-12 yrs. The camp runs from 9:00a-3:00p. 1/2 day and full day options are available. Each camp week has a different theme with a variety of activities. Activities will include: Dance, Music, Arts and Craft, Outside fun, Swimming, Sports and Drama and occasional field trips. 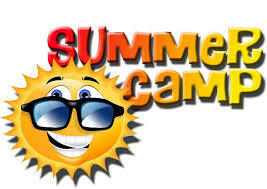 Campers must wear comfortable clothing and bring a snack, a lunch and a bottle of water. Lunch is not provided. Pack a lunch, with enough healthy snacks. Space is limited. !!! SPECIAL "BRING A FRIEND" DISCOUNT !!! *Some restrictions apply. Call the school for details. Registration starts February. Early Bird registration February 1st - May 1st. Registration during this time is $100/ week. Treat your little ballerina to a week of fun and fantasy at Princess Dance Camp. Your child will dance the life of royalty as they explore the world of imagination. Their princess dreams will come true as they enjoy dressing up, learning dance steps to their favorite princess characters, creating crafts, having story time and attending a magical tea party. All princesses will bring their princess crafts home and make their own princess crown. The magical week will end with a princess party and performance for friends and family. Bring a snack and a bottle of water and a change of clothes. All dancers need to wear a leotard, tights, and ballet shoes.